A solid and simple table with elegant routing and a tapered leg. 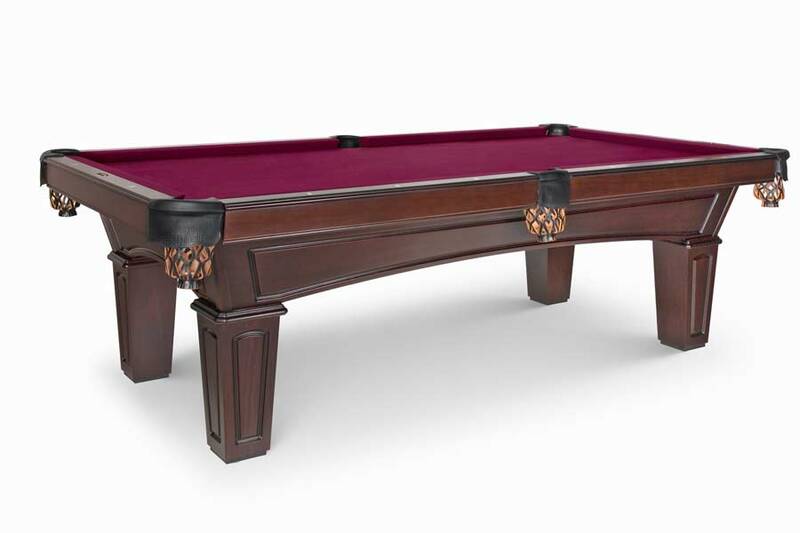 The Belmont pool table is an excellent value. Solid hardwood, american made, an a great price. Shown in Original Cherry.